The Department of Environmental Quality (DEQ) has improved, but still falls short on some post-Flint water crisis drinking water requirements, according to a new report from the Office of Auditor General (OAG) Doug Ringler. A 2016 audit uncovered DEQ officials during GOP former Gov. Rick Snyder’s administration failed to ensure that Flint applied corrosion control chemicals and other problems. In a follow-up to that report, the OAG found state environmental regulators are still not independently verifying that Flint homes no longer have lead pipes. While many of the issues auditors found in 2016 have been resolved, state officials still haven’t conducted enough visits meant to ensure the safety of Flint and other city residents’ water, according to the audit. About 36 percent of Michigan’s 1,388 municipal water systems, or 496, were not sampled directly by the DEQ. The audit also flagged the department for being too slow on addressing a backlog of water sanitation checks. The DEQ said it would be “impractical” to independently inspect more than 4,000 homes a year, the audit said. The department also pointed out that other states in the region use municipal and other water supply checks, rather than independent verification, to make sure drinking water meets all state regulations, the audit said. Environmental officials also told Ringler’s office that DEQ “did not have the means to independently verify that community water supply test sites met LCR requirements,” according to the audit. Ringler’s office responded that DEQ could randomly select some homes instead of visiting them all, and the department responded that Michigan’s new, stringent Lead and Copper Rule (LCR) requires that lead service inventories not be completed until 2020 and 2025 for preliminary and final reviews, respectively. The audit also found that the office of drinking water management didn’t always sample water within time frames required by DEQ policy and recommended that they comply. Since Jan. 1, 2016, the DEQ conducted 58 sanitary surveys. By April of that year, DEQ had a backlog of 124 overdue sanitary surveys, with 14 that were more than a year past their deadline. Those 14 are now being scheduled, but 110 surveys remain outstanding, the audit said. A spokeswoman for Flint Mayor Karen Weaver’s office did not immediately return a phone call from the Michigan Advance. Flint water became contaminated in April 2014 after state and local officials failed to provide corrosion control chemicals to the city’s new water supply, drawn then from the Flint River. The highly corrosive river water combined with the lack of chemicals caused lead to leach from Flint’s aging pipes into the city water supply. Since then, Flint has switched its water supply from the Flint River back to Detroit’s water system, which is treated with corrosion control chemicals. Another January audit from Ringler’s office found that $379.9 million appropriated for responding to the Flint water crisis and $216.5 million spent by 10 different state departments was appropriate. 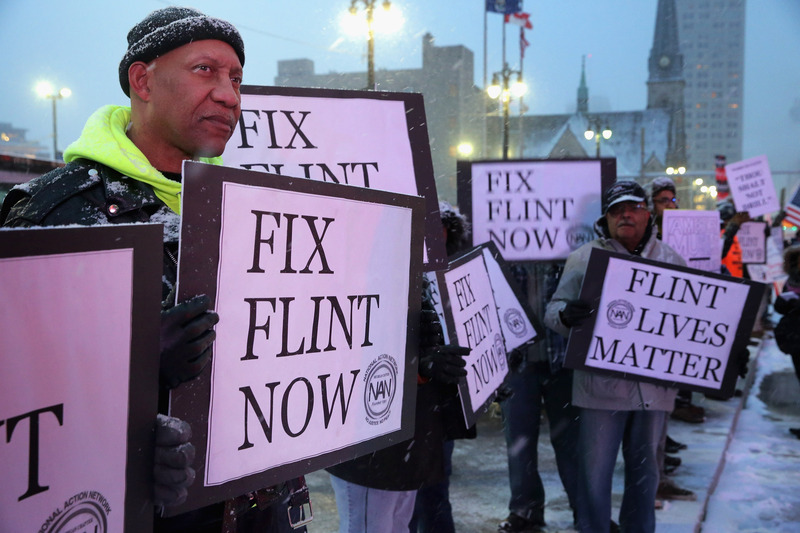 The OAG is required to audit Flint emergency response funds at least every six months. New Gov. Gretchen Whitmer, a Democrat, said she will work with Weaver’s office to continue ensuring that Flint residents have access to safe drinking water. Whitmer also said she will comply with a federal oversight committee’s ongoing probe into the Flint water crisis and signed a new executive directive inspired by how Snyder’s administration responded to Flint’s lead problems. New Attorney General Dana Nessel, who’s also a Democrat, has appointed a new solicitor general, Fadwa Hammoud, who also is overseeing ongoing criminal prosecutions of state and local officials related to the Flint water crisis.